For most small and mid-sized businesses, customized, full-featured accounting and information software is simply too costly to purchase and implement. The managers of these organizations often feel they have no choice but to get by with an off-the-shelf product that does not really fit their business needs. They may resort to supplementing the software with spreadsheets and tedious reporting procedures. Similarly, many businesses, including non-profit, educational, and governmental organizations, may struggle with a stand-alone accounting system they are required to use, but that does not provide the information they need daily. These organizations are forced to maintain two systems: one that meets the needs of an outside entity and one that provides the information necessary to budget and analyze funding sources and expenses. 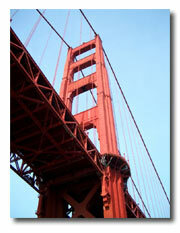 Capital Management Group can bridge that gap. For further information on specific applications, please see Our Products and Grant Maximizer Solution™ pages.